Due to powerful operation of cold air mass, three provinces of Quang Ngai, Binh Dinh and Phu Yen have experienced torrential rain on the large scale and floodwater increase in the local rivers and reservoirs. The local hydrology meteorology forecast centers yesterday issued urgent reports about unexpected landslide and flashflood appearance. 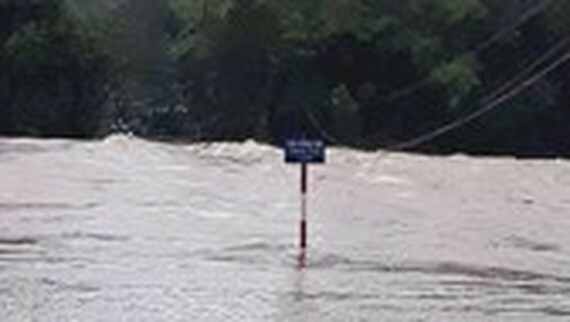 Yesterday morning, floodwater poured from upstream to downstream rivers which isolated as well as flooded provincial highway DT 640 connecting Tuy Phuoc district of Binh Binh to communes of Phuoc Thuan, Phuoc Son, Phuoc Hoa and Phuoc Thang (Tuy Phuoc district) and communes of Cat Tien, Cat Chanh, Cat Thang (Phu Cat district). Some inter-rural roads in the localities were completely isolated and flooded under 0.7- 1 meters. Thousands of employees and pupils could not travel to companies and schools due to floodwater increase. 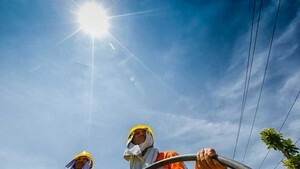 The People’s Committee of Phu Yen province said that the locality yesterday decided to discharge water at 3, 254 cubic meters while the Song Hing and Ba Xa Hydropower Plants released water at 1,854 and 1,400 cubic meters respectively. Deputy Chairman of the People’s Committee of An Dinh commune (Tuy An district, Phu Yen) Mr. Nguyen Van Tuan reported that floodwater spread out and flooded lowland areas as well as threatened people’s lives.